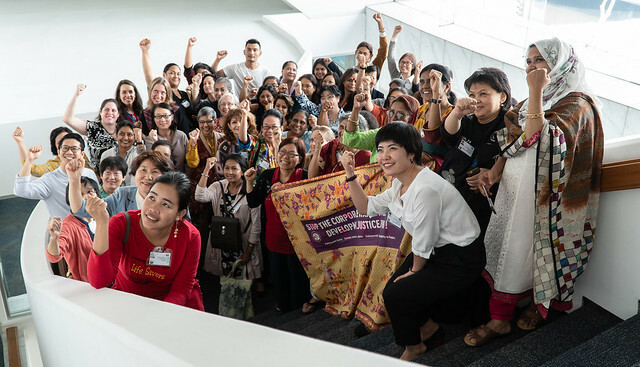 Organized by Asia Pacific Forum on Women, Law and Development, supported by UN Women Regional Office for Asia and the Pacific, UNESCAP and the Canadian Government. UN Women Regional Office for Asia and the Pacific, together with United Nations Economic and Social Commission for Asia and the Pacific and the Canadian Government, will support the “Strategising Workshop for the 63rd Session of the Commission on the Status of Women and Beijing+25 Review” organized by the Asia Pacific Forum on Women, Law and Development (APWLD). This civil society workshop will precede the “Asia-Pacific Regional Preparatory Meeting for the sixty-third session of the Commission on the Status of Women (CSW63),” with the priority theme “Social protection systems, access to public services and sustainable infrastructure for gender equality and the empowerment of women and girls”, which will be held from 13 to 14 February 2019 (Event details). Plan for participation and contribution for each participant’s Beijing+25 country review processes and strategise over civil society consultation processes and advocacy opportunities for key events planned at the national, regional and international levels.